Of course, choosing your pen is a personal preference, a subjective experience. Although rollerballs are the newest entry into the world of fine writing, with fountain pens and ballpoints paving the way, they gain more in popularity each year. Rollerball pens were introduced in 1963 by Ohto Japan who were at the time known as Auto Japan. There are two main types of roller ball pens: liquid ink pens and gel ink pens. 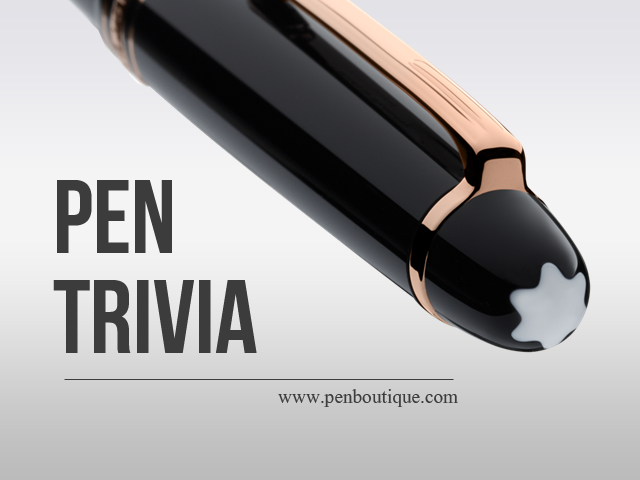 The first type uses an ink and ink supply system similar to a fountain pen and they are designed to combine the convenience of a ballpoint pen with the smooth "wet ink" effect of a fountain pen. • Less pressure needs to be applied to the pen to have it write cleanly. This permits holding the pen with less stress on the hand, saving energy and improving comfort. This can also translate to quicker writing speeds. This is especially true of liquid ink pens. • The inks usually have a greater range of colors due to the wider choice of suitable water-soluble dyes and/or to the use of pigments. • They tend to write more clearly than ballpoint pens do. Question: What fine writing pen brands has the best selling rollerballs? Answer: Lamy’s Al-Star, Safari and their 2000 lines are the top selling rollerballs.